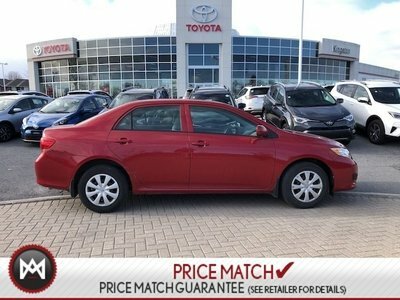 2010 Toyota Corolla Keyless Entry,Power Windows,Locks ,Cruise & More!! Details 2010 Toyota Corolla Keyless Entry,Power Windows,Locks ,Cruise & More!!. Classy!!! New Inventory* Less than 32k miles!!! You don't have to worry about depreciation on this outstanding Sedan!!!! *** It's ready for anything!!!! Come and get it* Kingston Toyota serving the Kingston area for 35 years and Kingston's number one import dealer.